One of the most famous homes in Lake Oswego has recently come under new ownership. Jantzen Island was built in 1930 by swim wear pioneer Carl Jantzen. Legend has it that he would hold swim wear fashion shows on the lake with pyramids of models water skiing in the latest summer styles. The home is on the National Register of Historic Places. The original 10,000 square foot house was designed by Charles Ertz and the boat house was designed by Richard Sundeleaf. 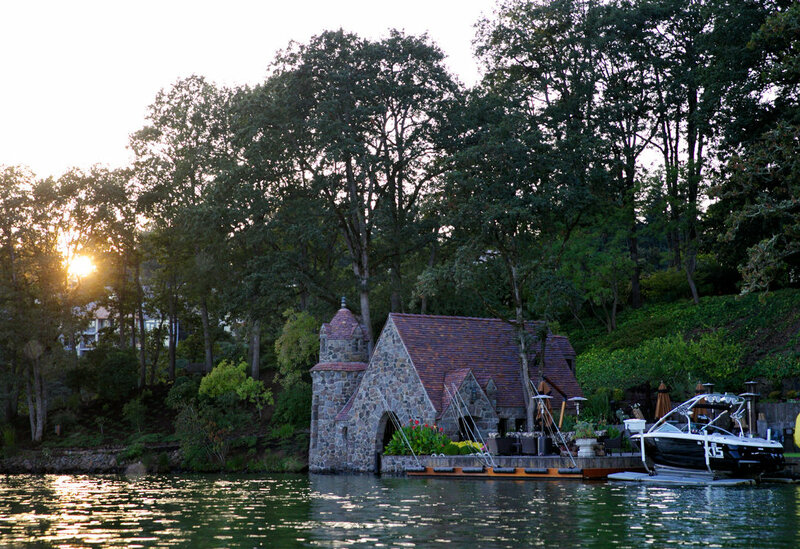 What makes the property truly special, besides the historic nature of the buildings, is that it is the only private island on the lake. With 5 acres and a stone bridge as the only access, it is an estate without compare. Early History Settlers call the place Crazy Man’s Island for its mute, hermit resident. 1929 Swimwear pioneer Carl Jantzen purchases the island from Oregon Iron & Steel. 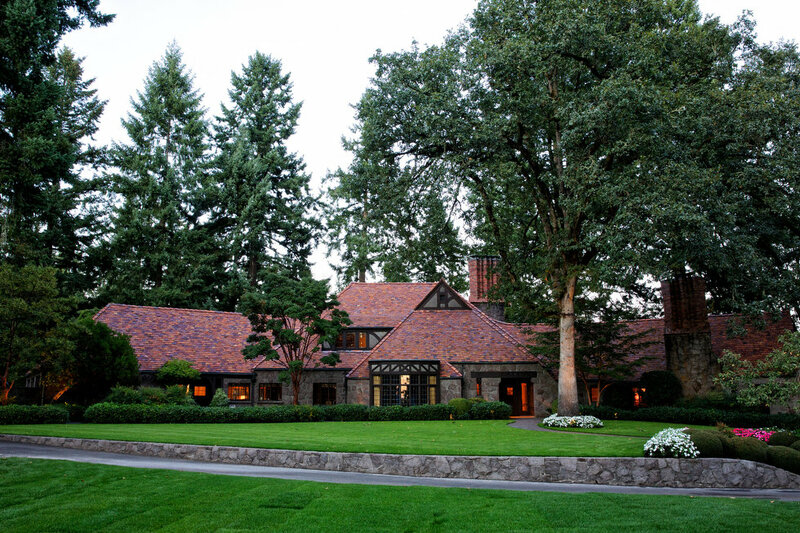 1930 Jantzen hires architect Charles Ertz to design the English Tudor style main house and Richard Sundeleaf to design the boat house. 1952 Harry Coffey, an insurance agent, buys the estate. 1956 Carl and Virginia Halvorson (a land developer who was behind developing Mountain Park) purchase the estate and become its longest-staying owners. They lived on the island for 3 decades, which is why the island is also known as Halvorson Island. 1987 Jerry Stubblefield, the founder of Avia footwear, buys the estate for $2.2 million. 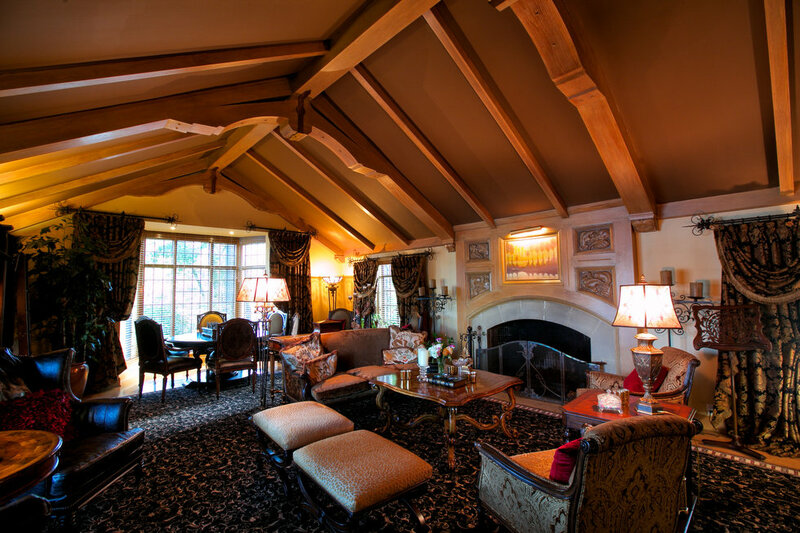 Stubblefield remodels and builds a 3,000 square foot guest house. 2008 Right after the turn in the market, Mr. Stubblefield lists the island for sale at $19.5 million. It does not sell. 2009 Chris Dudley, a former Trail Blazer as well as gubernatorial candidate, makes a $3.75 million loan to Stubblefield. Terms of the loan are not met and Dudley forecloses. 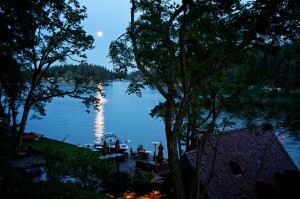 2012 The island is purchased by Rick and Erica Miller. Rick Miller is the chairman of Avamere Group, a health care company for seniors citizens with locations throughout Oregon and Colorado. As is often the case with homes that go through foreclosure, the Millers acquired a house with deferred maintenance. Since moving in, they have done extensive repairs and remodeling. They just recently obtained approval to build a tram to the lake with a 720 square foot cabana. They are also building a guard tower at the bridge entrance, which had been part of the properties original design. This house does not change hands often, so getting a glimpse of it through photos is a bit of an opportunity. I hope you enjoy learning the history of the home and the chance to catch up on its current status. Very familiar with the island. Houses and grounds were in pretty good shape BEFORE the new owners (Millers) took possession. For heaven’s sake, you can borrow the DVD on the house from the LO Library to see for yourself. The previous owner (Stubblefield) took a creaky old property and put in the driveway, the lawns, the paths, the pool, the guest house, and completely redid the main house. But anyway best regards to the new owners, and may they have many years of enjoyment. I visited the island in 1957 and again on 1958 when I was a student with the Halvorson’s daughter at Forest Hills grade school. I remember that the house had an elevator back in 1957. Now that impressed a very young Lanny. I also remember that the Halvorsons were good friends with the movie star, Vincent Price. Vincent was an amateur oil painting artist and the Halvorsons hung some of his work on their walls.